Practices start on January 21st. CONGRATULATIONS U10 for an undefeated season!! 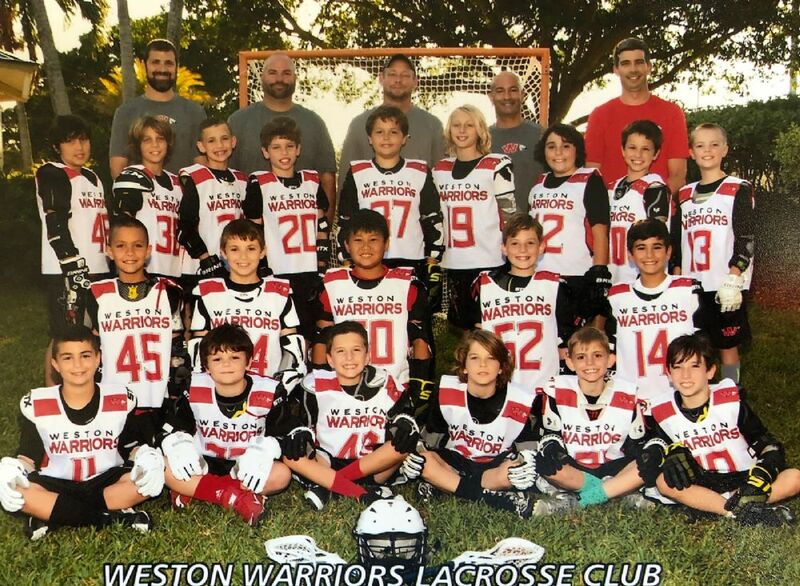 Congratulations to our U10 Boys 2018 undefeated season!! We are so proud of all of you!!! 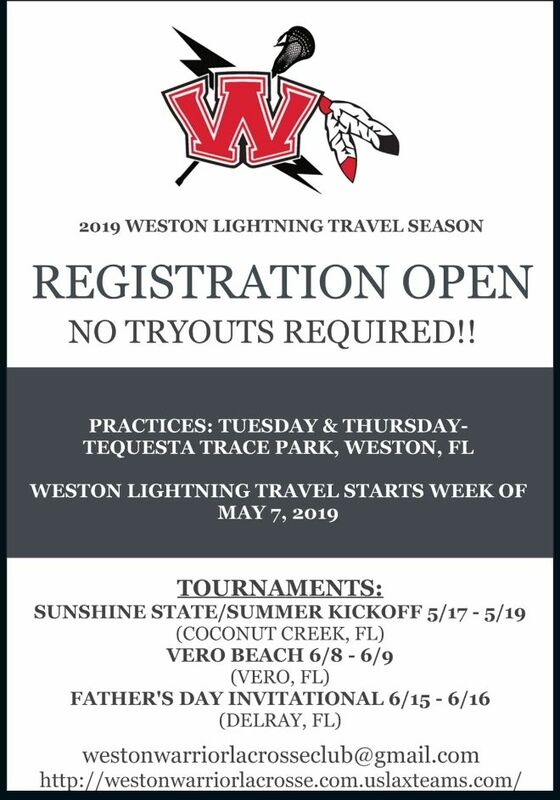 Our registration period for new players for the 2019 season is now open. Remember everyone has to start sometime. If you haven't had much exposure to lacrosse don't worry. We will get your player up to speed quickly. Moms and Dads you will be sold by the end of your first game. 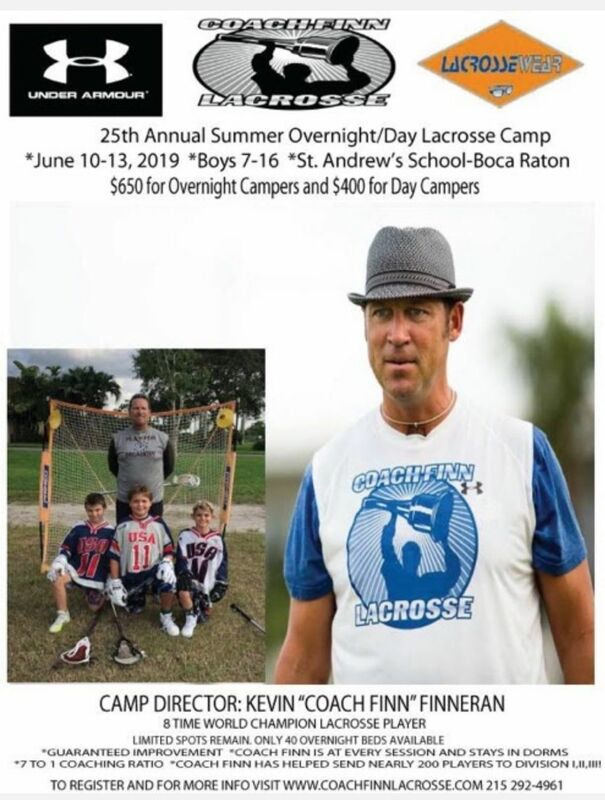 This is a local travel recreational league dedicated to the growth of the sport of lacrosse in South Florida. We emphasize team play and skill building. Your player will learn the game, teamwork and get in the best condition of their life. Players move up through the ranks. They very rarely leave the sport or our program. We have had players come up through ranks and go on to play at the top college levels. Your player could continue that Weston legacy. See you at the fields!